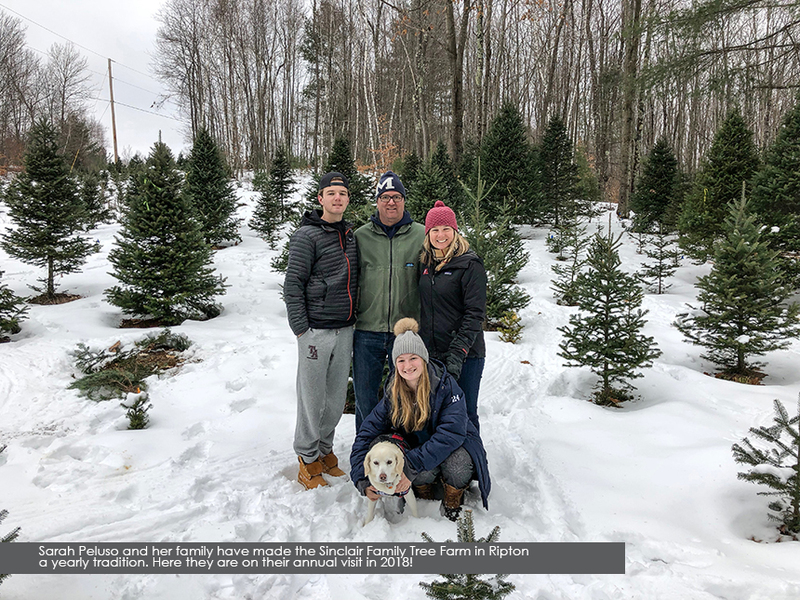 Making a Tradition of Your Addison County, VT Christmas Tree Search! It's hard to break from holiday time errands to make traditions like the annual Christmas tree hunt a priority. We're all just so busy do-ing (and buying, and shipping, and merry-making, and volunteering, and baking, and wrapping, and visiting...you're familiar, right?!). Taking the time to wander a cold and snowy, entirely-too-expansive field, armed with a hand saw while under-dressed and over-caffeinated, can seem like a whole thing you'd rather not add to the list. Even taking a drive off-route to visit a splendid little farm stand for a pre-cut-and-ready-to-go holiday tree seems like a chore. We've decided: it's worth the time. We live in this peaceful, pastoral, agricultural haven with blankets of snow under red barns, shimmery branches, and backdrops of mountains and lakes. We've even got tree farmers in our own backyards! Let's do this! Our advice is to take a deep breath (or three), block off a good few hours (because it will take that long), leave your phone at home, gather your people up and devote yourself to the process. Fully commit to be present. It's SO fun that way! Sarah’s family has made the Sinclair Family Tree Farm their family tradition. This year they visited just after a fresh dusting of snow (Ripton does get a lot of that white stuff!). She describes a cozy fire, hot chocolate, and a slow wander with their pooch to pick out this year’s favorite. You’ll find a full range of sizes (tag one and come back later, or take it with you! ), saws, netting and twine – all you’ll need. “They’re friendly people in a beautiful, less-traveled location. It’s clear that they take pride in their operation,” Sarah advises. The Russell Farm offers two locations along the Starksboro flats. Their annex location is an easy-to-access lot right off Route 116 where you can choose and cut your own from a well-manicured assortment of all sized trees (a crew will bind your find, and help you tie it to your vehicle!). The original location just a mile or so South offers a true farm experience complete with a sleigh ride, home-made cookies and a fire-warmed cabin for those frostier days. You’ll also find wreaths and their own maple syrup for sale, to round out your visit! Being a Lincoln-ite, Polly has been known to visit the Russell Farm for her family's trees. "We find ourselves ogling the Russell's satellite field all year round, being right off of often-traveled Route 116. We've found ourselves picking out the perfect tree as a passerby in July!" Visit The Russell Farm Saturdays, 10 – 4pm, Sundays 11 – 4pm, and weekdays by appointment! Where do you find your tree? Tell us in a comment! While we think we know everything there is to know about Addison County (wink, wink), we're also a little stuck in our tree-finding ways. Fill us in, please!! PS - please give your family farm a ring before visiting to confirm holiday-time hours!